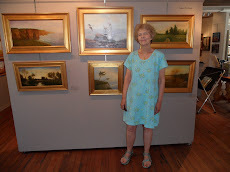 Happy to report that three of three artworks were accepted for a show at the Lyman Allyn Museum in New London, CT. This time two of the works are drawings which I hope you enjoy. The third piece is a plein air painting of the Eight Mile River in Lyme CT at the Pleasant Valley Preserve.